Peter Henrici was educated at the high school in Basel, then entered the University of Basel in 1942 to study law. He spent two years at the University of Basel, then after World War II ended he began studies at the Swiss Federal Institute of Technology, Eidgenössische Technische Hochschule Zürich. He received a Diploma in electrical engineering there in 1948, and also a Diploma in mathematics. He was awarded a doctorate in mathematics in 1952, having written the thesis Zur Funktionentheorie der Wellengleichung : mit Anwendungen auf spezielle Reihen und Integrale mit Besselschen, Whittakerschen und Mathieuschen Funktionen Ⓣ under the direction of Eduard Stiefel. It is worth recording that he liked to stress that he got his Dr. sc. math. "only formally" under Stiefel (suggesting that he received no advice from his thesis supervisor). He began publishing papers before submitting his doctoral thesis, four papers appearing in print before the publication of his doctoral thesis in 1953 in Commentarii Mathematici Helvetici. His first paper Zur Berechnung der Eigenwerte von Matrizen durch Lochkartenmaschinen Ⓣ (1950) examined the problem of calculating the partial derivatives of the dominant eigenvalue of a matrix with respect to the elements of the matrix. His next contribution Bergmans Integraloperator erster Art und Riemannsche Funktion Ⓣ (1952) is an elegant study of the representation of solutions of an elliptic partial differential equation in terms of analytic functions. The first paper he published in English was A Neumann series for the product of two Whittaker functions which appeared in the Proceedings of the American Mathematical Society in 1953. By this time Henrici was working in the United States. In 1951 Henrici had gone to the United States where he obtained a position at the American University in Washington, D.C, and also was a visitor at the National Bureau of Standards. In fact there was a Contract between the National Bureau of Standards and the American University on which he worked. In 1956 he went to the University of California at Los Angeles where he was appointed as an associate professor. Later he was promoted to Professor of Mathematics as the University of California at Los Angeles, where he remained until 1962 when he returned to the Swiss Federal Institute of Technology. He continued to hold this post for the rest of his life but, in 1985, he took on an additional part-time appointment as the William Kenan Distinguished Professor of Mathematics at the University of North Carolina at Chapel Hill, North Carolina. In addition, throughout his career, he held a number of visiting professorships at Harvard, Stanford and several other universities in the United States. ... major contributions to preserving and enriching our mathematical heritage. His books and papers have helped greatly in maintaining numerical analysis as a subject with beauty, order, and structure, in the spirit of the great pioneers of the past. He keeps reminding us to ask what Gauss would have done with a parallel computer - or with a pocket calculator. 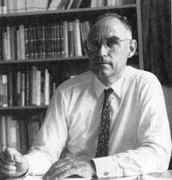 Peter Henrici was truly an internationally recognized numerical analyst, having written 11 books and over 80 research papers. A very cultured person who was also a gifted pianist, he was an outstanding teacher particularly interested in helping younger mathematicians. His lectures showed great polish and inspired many. His guidance and unselfish contributions as an editor have helped make Numerische Mathematik the respected journal it is. For this alone, we owe him a great debt of gratitude. This book contains a comprehensive and up-to-date treatment of methods for the numerical integration of ordinary differential equations, especially those associated with initial-value problems. The emphasis is mainly on a study of error propagation. The motivation is clearly practical and realistic, but the treatment is nevertheless completely rigorous. ... Many of the author's original contributions to the subject now appear for the first time in this book. Mention should be made particularly of his extensive work on the propagation of round-off error, for which he gives a thorough theoretical treatment, supported by substantial experimental evidence. His concept of a "magnified error function" is also of considerable help in developing reasonable estimates of propagated errors. ... There is no doubt that this book is a valuable contribution to numerical analysis, and it will certainly have an important influence on future developments in the numerical integration of ordinary differential equations. The author has done an excellent job of presenting a systematic account of the subject, and much of what appears in this volume is now appearing for the first time. This book marks a new level of excellence for introductory texts in numerical analysis. One reason for this is that the author does not try to squeeze in a large number of techniques, but rather takes a few selected topics and studies them with care and in some depth and detail. One may perhaps quibble with the particular selection, but this approach is especially sound in numerical analysis. More fundamental, however, is that the development is placed on scientific and mathematical foundations. Thus a clear distinction is made between algorithms and things we know about them and, more generally, between things we can prove and things we suspect are true. These texts were rightly praise as remarkable achievements, but the high point of Henrici's writings must he the three volume work Applied and computational complex analysis. The first volume Power series - integration - conformal mapping - location of zeros first appeared in 1974, the second volume Special functions - integral transforms - asymptotics - continued fractions first appeared in 1977, and the third and final volume Discrete Fourier analysis - Cauchy integrals - construction of conformal maps - univalent functions first appeared in 1986. Writing this masterpiece did not fully occupy his textbook writing time, however, for between the publication of the second and third volumes he published Essentials of numerical analysis with pocket calculator demonstrations (1982). In 1964 Henrici was an invited plenary speaker at the sixteenth British Mathematical Colloquium held in Leicester and he lectured to the Colloquium on Some applications of the quotient-difference algorithm in classical analysis. In 1978 he was the Society of Industrial and Applied Mathematics John von Neumann lecturer. He was elected President of the Gesellschaft für Angewandte Mathematik und Mechanik (German Society for Applied Mathematics and Mechanics) from 1977 to 1980 when he became Vice-President, serving in this role until 1983. He was an editor of Zeitschrift für angewandte Mathematik und Physik (Journal of Applied Mathematics and Physics) and he was an associate editor of twelve other journals. This brief summary provides only an incomplete picture of Peter Henrici the scientist, of his energy and his immense diligence. Peter Henrici the man - his personality, his warmth and humour and modesty - will remain in our memories, as will for some of us his passion for music, the experience of listening to or playing with an extraordinarily gifted pianist. He is no longer among us but his work is here to stay. The Peter Henrici Prize is awarded jointly by Eidgenössische Technische Hochschule-Zürich and the Society for Industrial and Applied Mathematics. The prize is awarded for original contributions to applied analysis and numerical analysis and/or for exposition appropriate for applied mathematics and scientific computing. The award is intended to recognize broad and extended contributions to these subjects, more than a single outstanding work. This Prize is given to honor Peter Henrici who was such an eminent figure in Applied Mathematics and Numerical Analysis. In addition to all his scientific achievements, he wrote numerous books and papers in an elegant manner, communicating ideas coherently and logically. It is awarded every four years, the first award being made in 1999.